Are you mostly good but sometimes bad? 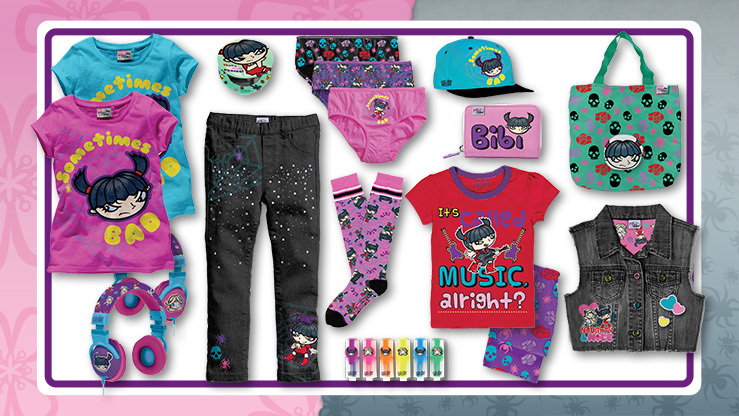 Are you a Mimi or a Bibi type of girl? That’s the question at the heart of this fashion brand for girls. Bibi meanwhile is the archetypal rebel without a cause – just because. For her there is no black and white, just black. PERIOD! Bubble gum fun mixed with gothic grunge means that girls can decide if they are having a ‘Mimi Day’ or a ‘Bibi Day’ or indeed both! Mimi&Bibi ™ © 2016 Hoho Entertainment Ltd. All Rights Reserved.